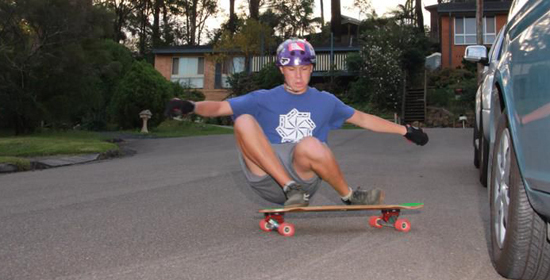 Home » news » Interview with Aussie grom Tyron Knight! Interview with Aussie grom Tyron Knight! Hi Tyrone, how did you get your nickname “God Dangit Tyrone”? Hi Tony, I got the Nickname because of this meme ! I am 15 years old. The future of skating right here!! 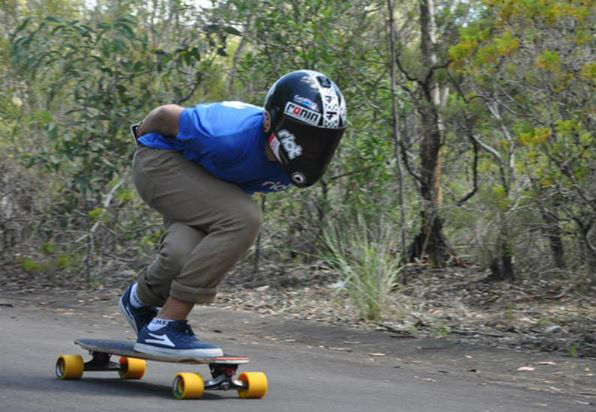 How does it feel to be so young and the only sponsored Ronin rider in Australia? Well it’s pretty rad being the only one on the team for Australia, but I’m heaps stoked that I’m on the team. We’re stoked to have you on the team too! I have been skating since I was younger so I know how to ride a bit. What type of setup did you start out on? My first board aye. It was the handmade Australian Daddow 120-Y with Bear Grizzly’s and yellow 86a O’tang Stimulus wheels….Compared to my board now, things have changed in great ways. How long have you been skating fast? 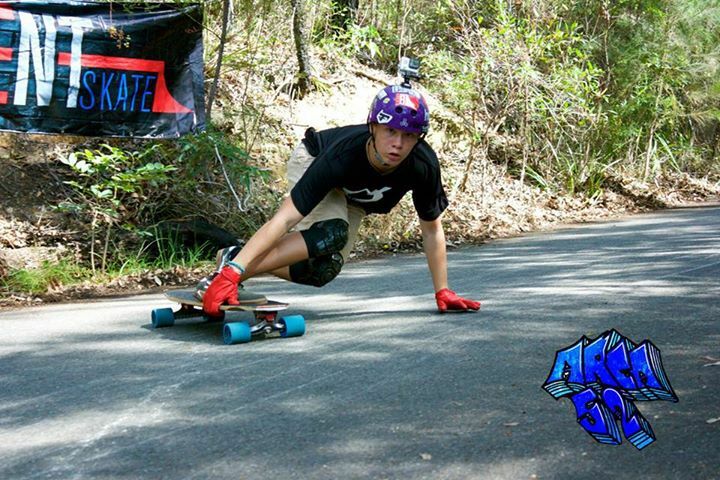 I got into longboards and racing about two years ago. So where do you see yourself in let’s say, five years? In five years I’ll be 20. So I’ll probably skating everywhere I hope haha, and working somewhere but really don’t know Aye. 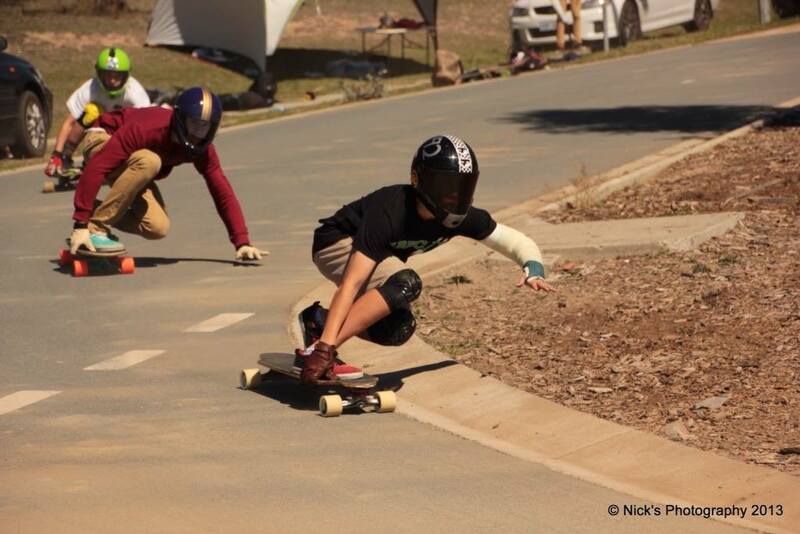 Do you skate other disciplines? 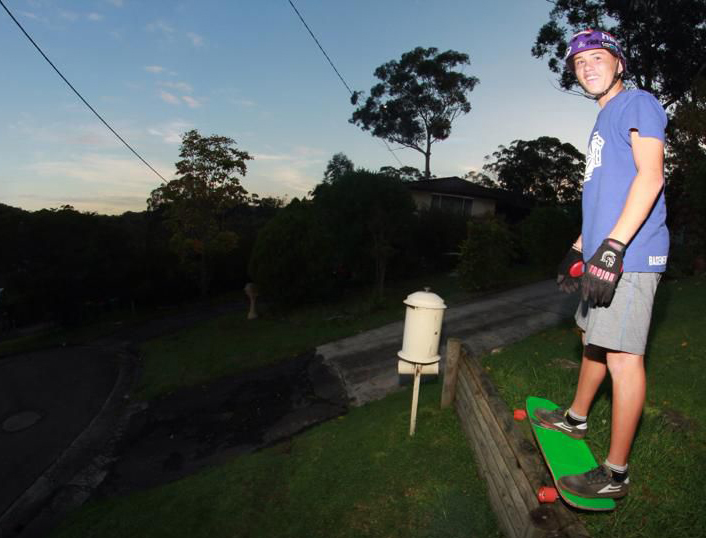 I also ride a bit of park, but I’m not heaps good, I just like going down to the park for a little shred! We’re big fans of crossing disciplines and skating everything. Do you feel park skating helps your downhill game? Yeah kind of, I just love going down for a shred and hopefully not to break my wrist again. How did you break your wrist? I broke my wrist on the halfpipe at my local skate park. I was going up and doing a five-o grind and then it just gripped up and I fell back in with my wrist under my bum, and I sat straight on it with that full impact taken by my wrist. It broke and I got up and looked at it and there was a big bulge where you could see the bone out of place haha!!! I had a full left arm cast for 9 weeks and skated in it too!! Do you have any special training regiments? Not really haha, just like go for skate almost every day. What’s the skate scene like in Australia? The Australian skate scene is rad and growing in numbers. We have some of the world’s best skaters, and also we have outlaw events all the time! That sounds rad. So who are your biggest influences? Well when I started I looked up to Ben Bro and (Louis) Pilloni and people like that, but really all the OG Australian skaters! Who are some of the influential Australian OG skaters? Well the OG skaters of Australia who I skate with are Ben Bro, Duddy, Duber, Rob Dog, Cam, Gabe, Jacko, the Naccos crew, and yeah haha. How are you doing at the outlaws? I am doing good at the outlaws and getting podiums at every one, so it’s rad. Do you ever run across any bogans (laughing)? Bogans haha they are everywhere haha!! Smart man haha, plenty of time for that later..
All the island Reggae remixes, and Fijian and Samoan songs and Reggae!! Have you traveled outside Australia? I haven’t travelled outside of the country but this year, but I’m travelling to America and Canada with a rad little crew. Are you going to make your way down to SoCal? No, unfortunately I’m not. I wish!! I’m only there for Maryhill and Whistler and then back home. That’s a bummer. I bet you’re stoked on Maryhill and Whistler though! We wish you the best of luck at those two major events! Tell us about your setup. My setup aye. Well it’s my favourite, and I am riding a proto Fibretec Flying Pan with my Ronin Billets with all Riot products in it too. 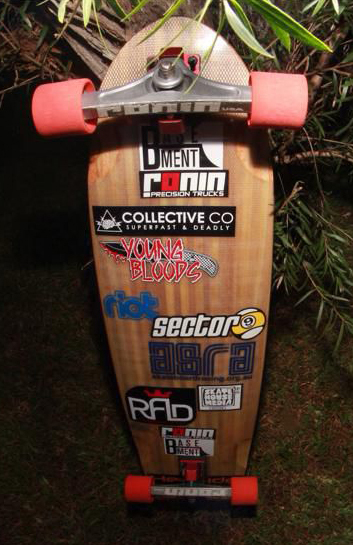 It has Hammer grip, Hawgs wheels and Collective Co., but all that together is rad. Sounds awesome. What axle width and base plate angles are you using on your Ronins? Yeah it is, I’m running 40/40 plates with 174mm hangers for rad lean. Why do you like Ronins? Why do I Like Ronins? Because I love them they’re super stable and I love diving into corners on them, plus with the lean they’re the perfect combo so a big thumbs up!!! Right on! All that lean is converted directly into turn. It’s an awesome feeling for sure. Tell us about your favorite skate spots. Can you describe Thane Destroyer? It’s been awesome talking to you. Good luck with your skate adventures and I hope to see you when you make it to the USA! Yeah no worries. It was good to talking to u. Cya then! !